Calla lilies are such unique flowers, they look elegant and stunning when used on their own in wedding flowers. I created this calla lily posy bouquet with the beautiful small ‘Crystal Blush’ calla lily. These lilies are perfect for handtied posies as you can tie lots of them together to create a bouquet. 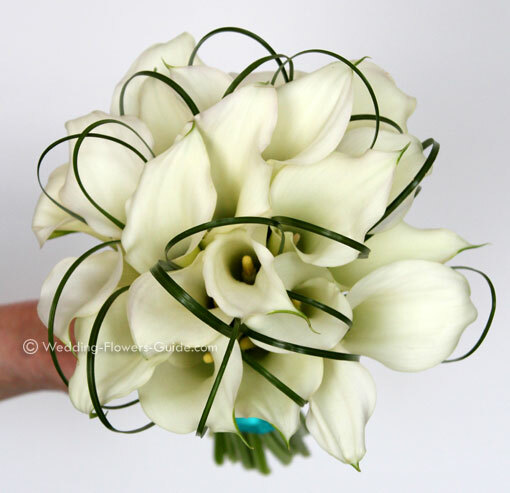 In the bridal bouquet you see here I attached folds of beargrass to each calla lily so that when they were spiralled the grass made an attractive feature. I used between 20 and 30 calla lilies to create the bouquet in the photo above. You can also see how I created a miniature version for the wedding cake. I love calla lily cake toppers as they are so simple but look so effective. 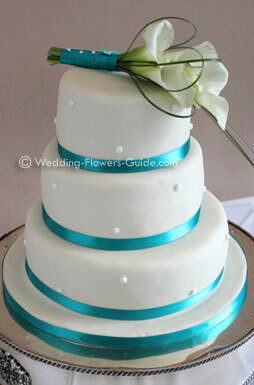 You can see how I’ve also featured the beargrass detailing and teal ribbon detailing. 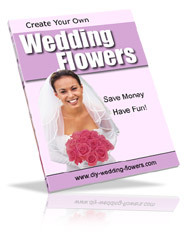 See more wedding flower cake topper ideas. 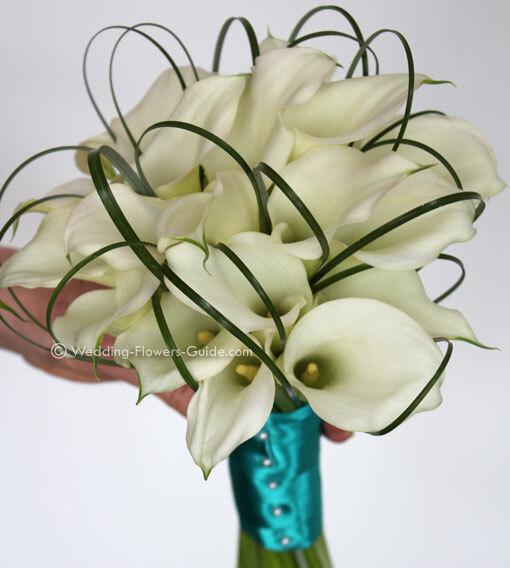 Get some more ideas for a calla lily wedding flower theme. "I have never seen anything like the flowers I had. Classic, elegant and truly stunning. I have had countless comments from my guests about the quality and ‘wow’ factor of the flowers."